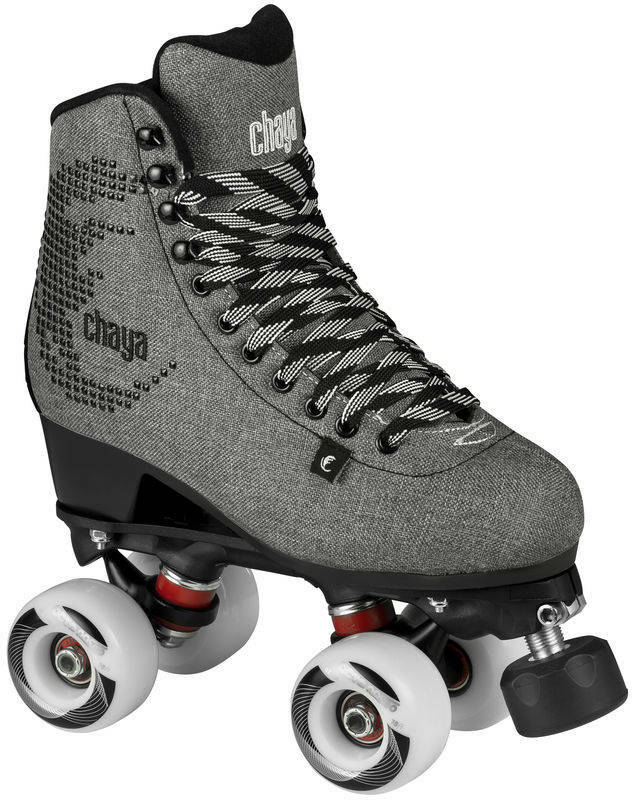 These fashion skates from Chaya are high-end quad roller skates incorporating a lot of the technologies that Chaya has improved through their love of Roller Derby. The anatomically shaped ankle area provides the right amount of support and makes the skate usable for long sessions. The plates on these roller skates are Chayas Shari plates. They are made with a mix of nylon and fibreglass for a strong lightweight plate. 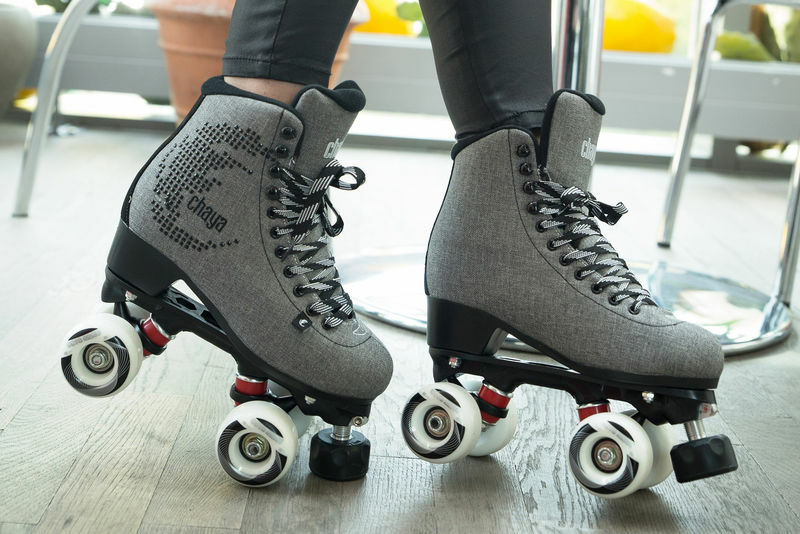 Along with the 20° cast aluminium trucks and Jelly Interlock cushions you get a highly manoeuvrable quad roller skate that is fun to skate and easy to control. 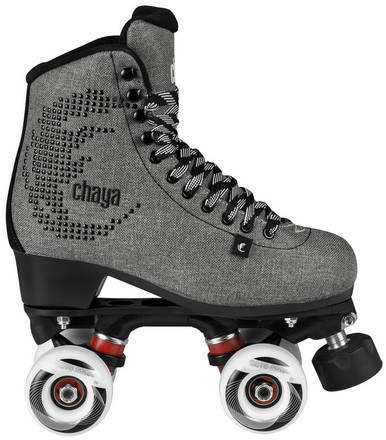 The plates are prepared for the Chaya Dual Centre Mounting which makes them easy to switch from boot to boot depending on where and what you are skating. Octo Paseo wheels with a soft and grippy durometer. Controller toe stops make changing direction and stopping a breeze. 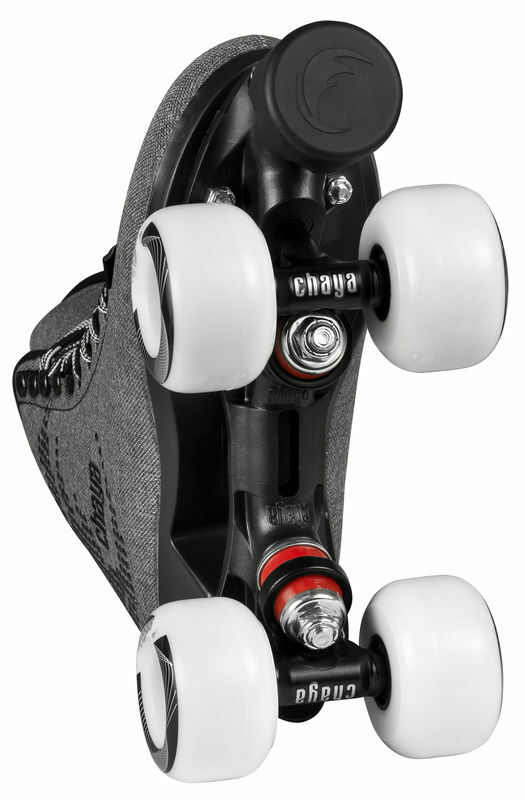 Buying skates - What should I choose? Beautiful skates, really pleased with them. Ordered a size larger than my normal shoe size and they are fine! Skates are very nice and very Good Quality.....been doing this for more than 40 years!!! Hard to find skates of this quality in the States at this price! !